Birdsedge is a pleasant rural village located next to the hamlet of High Flatts. There is a school, a village hall, a Wesleyan Reform Church, a Friends Meeting House and a farm shop. There is no pub, however the village hall has a bar licence. An urban village with a pleasant Millennium Green. There are a number of interesting buildings on High Street and Bilham Road, notably The Park and Bilham Grange. 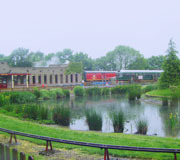 There are shops and pubs and the village hosts Kirklees Light Railway. ‘The Pie Village’ is a large settlement with pubs, restaurants and a range of shops including a mill shop. 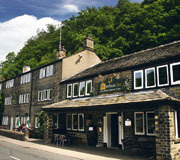 Information about the famous Denby Dale Pies is available at the Pie Hall. A local landmark is the impressive Denby Dale viaduct. The Penistone Line Railway stops here with bus connections at the local transport interchange. Stone-built village in a country setting. Most of the village is within a Conservation Area. 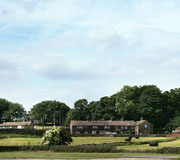 It has an identifiable core with a pub, bowling club, church and school, together with numerous farm groups and cottages. Flockton is a linear village along the busy A637. There are pubs, shops, a post office and a fish and chip shop. The church of St. James The Great is a local building of note. Grange Moor is a rural village off the A642 Huddersfield-Wakefield Road to the north of Denby Dale and Kirkburton. There is a post office, a school and a pub. A tiny, delightful country settlement, High Flatts is a Conservation Area. 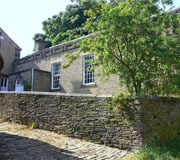 It consists of stone houses and farm buildings around the Quaker Meeting House with a small stone-setted square. 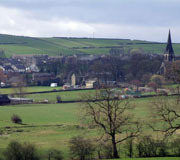 A large village in a semi-rural setting above Kirkburton. 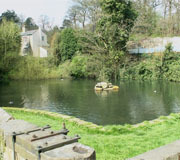 Highburton is a Conservation Area. 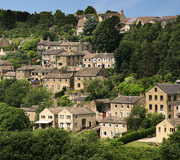 It has shopping and community facilities with groups of stone vernacular cottages and terraces climbing the hillside. A Conservation Area divided into two parts: a large predominantly linear older village core, and a detached area around Springfield Mill and the former Springfield House. 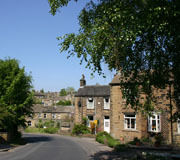 The village is formed mainly of groups of 19th century terraced cottages and shops in a wooded valley setting. The prominent ancient parish church of All Hallows is worth visiting. 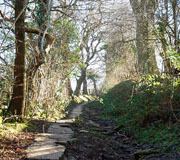 Lower Cumberworth is located next to Upper Cumberworth, and is adjacent to rolling green countryside. There is a pub and a cricket club. 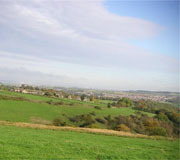 Shelley is an attractive village with a pleasant aspect. There are three pubs, a couple of churches, and a well-known garden centre. There is also a cricket club and a football club. 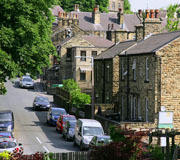 A large dispersed village with shops, pubs and restaurants, Shepley is a Conservation Area. It retains attractive groups of cottages, interspersed with modern development. 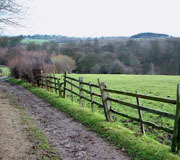 The rural setting provides a good location for local walks. This large former mining and mill village is now a busy urban centre with a supermarket, shops, pubs and restaurants. It retains a Conservation Area in two parts at the east and west ends of the centre. 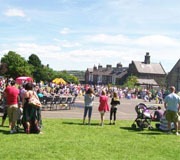 The village is also home to the Skelmanthorpe Brass Band. Stockmoor is a hamlet situated between the villages of Shepley and Thurstonland. There is a village hall, a pub and a railway station. 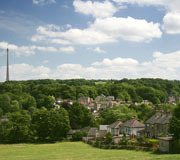 Small attractive village nestled in a wooded valley comprising of stone-built 18th century cottages and a public house. Thunderbridge is a Conservation Area and houses two large residential villas. 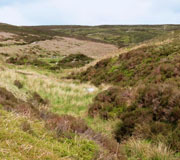 A fine example of an upland farming village dating from the late 17th century, although mainly late 18th or 19th century with attractive folds of stone-built agricultural buildings and cottages. 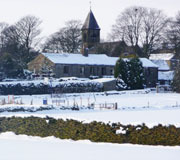 Newer houses, a church with a prominent spire, a vicarage and a school were added in the 19th century. 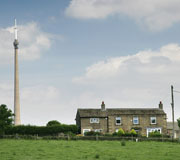 Thurstonland is located in a Conservation Area. A rural village with a pub, a church and a shop. Trees are an important element in this stone-built location. 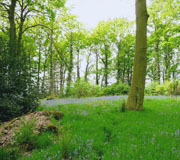 Upper Cumberworth is a Conservation Area and the local woodlands are managed by the Upper Dearne Woodlands Conservation Group. 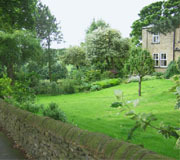 Largely stone-built, attractive country settlement of farm groups and terraced houses dating from the mid 18th and 19th centuries, Upper Denby is a Conservation Area. There is a prominent church, a school at the edge of the village, a pub and a cricket pitch.